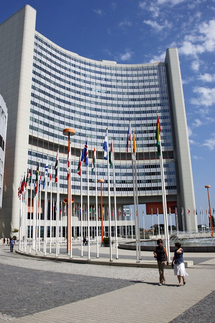 Vienna is one of the most important headquarters of International Organizations (IO) emerging as a hub for the promotion of peace, security, sustainable development, disarmament and non-proliferation of nuclear weapons. Further emphasis is given to fight against crime, drug abuse and terrorism. Already during the Cold War Austria served as platform for international dialogue due to its geopolitical position and its neutral status. This position could be strengthened by the opening of the Vienna International Centre (VIC), also called UNO City, in 1979. Since then, Vienna is seat of the United Nations (UN) beside New York, Geneva and Nairobi. International institutions in Austria – some 40 IOs, diplomatic representations, NGOs and Quasi-NGOs – are an important economic factor, too. They employ more than 6000 collaborators out of which about a quarter are Austrians. According to a recent study of Ernst & Young the sector spends about 725 million € per year which result in a macroeconomic demand effect of about 1,4 billion € and thus contributes to GDP growth and Austria’s prosperity. In a long term perspective all indicators proof the economic thrive of the sector, in particular, conference activities increased by one third in the period 2010 – 2014. The nuclear negotiations with Iran completed successfully in Vienna in July 2015 and likewise the Syria talks held since autumn 2015 generated a publicity value equivalent to 100 million euros. The VIC currently houses a number of International Organizations: Having been established in 1957, the International Atomic Energy Agency (IAEA, current Director-General Yukiya Amano) was the first of the International Organizations to be based in Vienna and, with its 2.550 employees, it is still the largest. Over the past few years, the IAEA has shifted its emphasis from the promotion of atomic energy to nuclear safety and the prevention of the improper use of fissile material. Another Vienna-based organisation is the United Nations Industrial Development Organisation (UNIDO), which was set up in 1966 and is currently headed by Li Yong. This is the only organisation within the UN system to provide support for industrialisation in Third World countries and in the Central and Eastern European transition countries through technical assistance, consultation and mediation as well as research and study programmes aimed at the most eco-friendly industrialisation on the one hand, and through the promotion of industrial co-operation between developing and industrialised countries on the other. The UNOV Secretariat unit (United Nations Office at Vienna), set up at the opening of the VIC in 1979, gives administrative support to various UN bodies and institutions, and is responsible for conference planning and interpretation services for more than 2,000 conferences and meetings a year as well as for the security services at the Vienna International Centre. UNOV also includes the Office for Outer Space Affairs (OOSA), the Division of Administrative and Common Services (DACS) and the United Nations Information Service (UNIS). Secretariat units which report to other Secretariat entities include the United Nations Commission on International Trade (UNCITRAL) and the United Nations Scientific Committee on the Effects of Atomic Radiation (UNSCEAR). Apart from the above-mentioned organisations of the UN family, the VIC also houses the branch-office of the United Nations Office for Project Services (UNOPS) and the regional bureau of the United Nations High Commissioner for Refugees (UNHCR). In the course of the reforms of the United Nations, in 1997 Vienna became a major centre of all UN efforts aimed at combating crime, drug abuse and terrorism. As a result, the Office for Drug Control and Crime Prevention (ODCCP), renamed the ODC/Office on Drugs and Crime (UNODOC) in autumn 2002, was set up in Vienna. Since 2010 it has been headed by Yury Fedotov as Executive Director, who at the same time holds the offices of Under-Secretary-General and Director-General of the UNOV (United Nations Office at Vienna). The ODC consists of the United Nations International Drug Control Programme (UNDCP) and the Centre for International Crime Prevention (CICP). Since 1997 the Preparatory Commission of the Comprehensive Nuclear-Test-Ban Treaty Organisation (CTBTO) has been operating in Vienna. A sophisticated data centre is attached to the secretariat. Lassina Zerbo took office as Executive Secretary in summer 2013. The International Commission for the Protection of the Danube River (ICPDR), founded in 1998, is engaged in ensuring sustainable and ecological management of the Danube River. Besides, it supervises the implementation of the Danube River Protection Convention, signed in 1994, and the EU Water Framework Directive (2000/60/EG). The Organisation of the Petroleum Exporting Countries (OPEC), founded in Baghdad in 1960, has been based in Vienna since 1965. This intergovernmental organisation is dedicated to coordinating its member countries’ oil producing policies, achieving stable prices for petroleum-producing countries and insuring reliable oil supplies to consumer countries. The organisation consists of the OPEC Conference, the Board of Governors Secretariat, currently headed by the Secretary General (Abdalla Salem El-Badri) who is appointed by the OPEC Conference. The OPEC Fund for International Development (OFID), established by the OPEC Member Countries in January 1976 is also based in Vienna. The OPEC Fund under it's current Director-General Suleiman Jasir Al-Herbish, which is financed through voluntary contributions derived from the member countries’ oil revenues. It seeks to contribute to the development of Third World countries by offering loans and grants to non-OPEC developing countries and to international development agencies. The Organization for Security and Co-operation in Europe (OSCE), headed by Secretary General Lambero Zannier is an organization which promotes stability, cooperation and security in Europe. In the past decade, the OSCE has become an operating organization launching 18 missions in the area of the former Commonwealth of Independent States (CIS) area and on the Balkans. In close technical and organizational cooperation with OSCE institutions (the Forum for Security Co-operation and the Permanent Council) the bodies set up by the Treaty on Conventional Armed Forces in Europe and the open Skies Treary hold meetings in Vienna. The global successor to COCOM is the Secretariat of the Wassenaar Arrangement on export controls for conventional arms and dual-use goods and technologies, which started operating in Vienna in 1997. The European Monitoring Centre on Racism and Xenophobia was established in the same year by a EU Council regulation and took up office in Vienna in 1998. Following the Council Regulation Nr 168/2007, it was transformed into the European Fundamental Rights Agency (FRA). Having taken office on 16 December 2015, Michael O’Flaherty from Ireland is now Director of the FRA (European Union Agency of Fundamental Rights). It has been mandated with providing the European Union and its Member States with objective and comparable information on racist, xenophobic and anti-Semitic phenomena discernible at the European level. The Racism and Xenophobia European Network (RAXEN) was established to support the FRA in the tasks generally related to the collection and provision of data. By locating the Immediate Central Contact for The Hague Code of Conduct (HCoC) against the Proliferation of Ballistic Missiles at the Federal Ministry for Europe, Integration and Foreign Affairs in 2002, a further step was taken towards strengthening Vienna’s position as the seat and headquarters of international organisations. In the same year, the European Space Agency (ESA) decided to base the newly founded European Space Policy Institute (ESPI) in Vienna. The Secretariat of the Energy Community has been based in Vienna since 2006. Its Contracting Parties are the European Union on the one hand and the eight Contracting States Albania, Bosnia & Herzegovina, Kosovo, Macedonia, Moldavia, Montenegro, Serbia and Ukraine on the other. The main goal pursued by the Energy Community is expanding the EU Single Energy Market to include South-Eastern Europe. In 2011 several International Organizations opened premises in Austria. Vienna’s profile as a platform for peace and security was underpinned by the establishment of the UN Office for Disarmament Affairs (UNODA). Since 2011 Vienna also hosts three offices of the World-Bank Group (International Bank for Reconstruction and Developement– IBRD, Multilateral Investment Guarantee Agency – MIGA, International Finance Corporation– IFC). Furthermore, the International Organization for Migration (IOM) which fosters the international cooperation in the realm of migration established a regional office in Vienna in the same year. The liaison office has a special focus on Eastern and Southeastern Europe as well as Central Asia. The International Centre for Migration Policy Development (ICMPD) was established in 1993 upon initiative of Austria and Switzerland. The headquarters of this International Organization is located in Vienna. ICMPD has become an important partner for its now 15 Member States and for the EU in the development of innovative and sustainable migration concepts and projects, in particular when it comes to cooperation with Third Countries in the Eastern or Southern neighbourhood of the EU. Moreover the King Abdullah Bin Abdulaziz International Centre for Interreligious and Intercultural Dialogue (KAICIID) was inaugurated in 2011. Finally, in the same year, the International Anti-Corruption Academy (IACA) was founded in Laxenburg. Non-Governmental Organizations, or NGOs as they are commonly called, not only do enjoy the esteem of the civil society, they also enrich the thematic work of International Organizations. Further to encourage the settlement of International Organizations, Austria traditionally gives incentives to Non-Governmental Organizations, too, to choose Austria as their seat. A legal framework has been created through the Federal Law on the Granting of Privileges to Non-Governmental International Organizations: upon request of an organization the Federal Ministry for Europe, Integration and Foreign Affairs may grant the legal status of a Non-Governmental Organization by decree. Beyond that, since 2016, NGOs have the possibility to apply for recognition as Quasi-International Organizations. For recognition the law stipulates certain requirements to be fulfilled by the applicant: the organization must have non-profit character, its structures have to be similar to those of an International Organization it must entertain a permanent and staff–wise appropriately equipped office in Austria and it's work must be related to an established Interantional Organization. The legal status of a Quasi-International Organization entails certain tax exemptions. 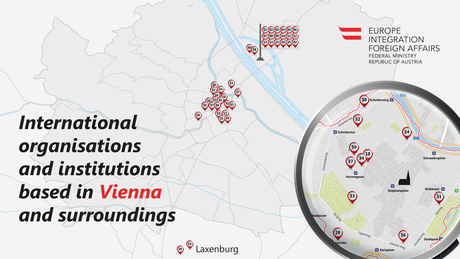 Among the first Quasi-International Organizations that chose their seat in Vienna, counts Sustainable Energy for All (SE4All), which started its activities in summer 2013 and established its permanent headquarters in Vienna in 2015. SE4All is headed by Rachel Kyte, the Special Representative of the UN Secretary General for “Sustainable Energy for All”. Other established Quasi-International Organizations are the Vienna Center for Disarmament and Non-Proliferation (VCDNP), the Vienna Bureau of the International Peace Institute (IPI), the International Secretariat of the Renewable Energy & Energy Efficiency Partnership (REEEP) and the International Union of Forest Research Organizations (IUFRO).